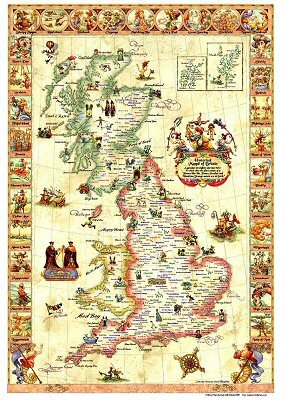 A slightly skewed view of Britain, from Birdlip Maps, in which only the place names of a Funny Ha-Ha, Funny Peculiar and Wondrous Strange nature are shown. Over 500 genuine and current place names. Beautifully illustrated in the style of an antique map with a humourous slant. Suitable for framing - fits standard 50 x 70cm size. 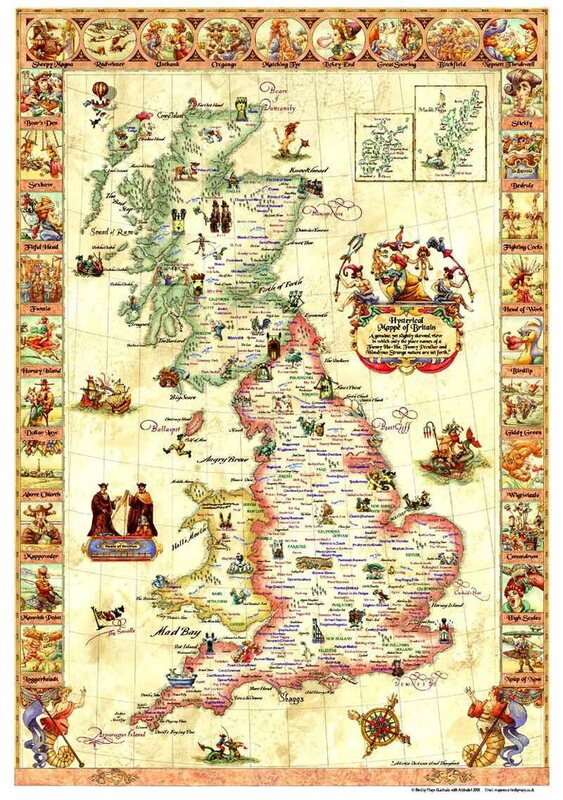 The Hysterical Mappe of Britain is clever, amusing and beautiful. The map shows amusing place names throughout the UK, such as Sheepwash, Conundrum, Wigtwizzle, Pisser Clough, Carbrain and Yieldshields, Sodom, Paradise, Purgatory, Bethlehem. The images all over the map are imaginative and beautifully drawn. The whole presentation is gorgeous. I was given the map as a present and am having it framed. This is the sort of map that people will want to stand up close to so they can have a really good look at all the wonderful names and detail.